You could have a go at putting these in order from the smallest to the biggest. Do you notice anything about the way they increase in size? Can you arrange them in a pattern which shows doubling? Could you draw some different pictures that also show doubling? Now, what about HALVING? 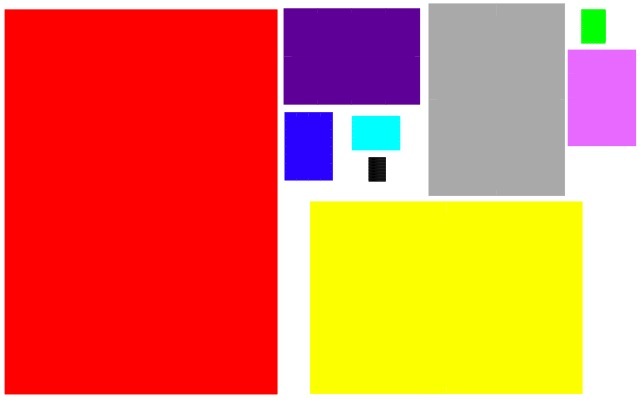 Could you make an arrangement or new picture to show halving, again and again? Area - squares and rectangles. Length/distance. Properties of numbers. Working systematically. Representing. Investigations. Recording mathematics. Perimeter. Making and testing hypotheses. Squares.